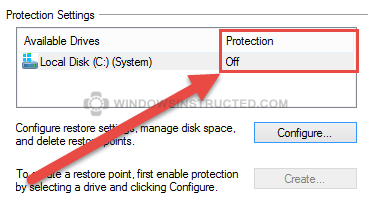 Make Sure System Protection is turned on. 5. Now click on the Configure button. 7. 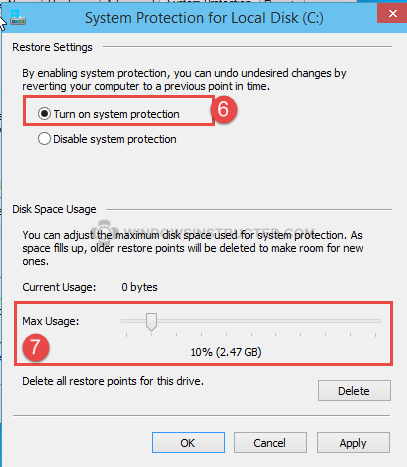 Now you need to set the space that Windows may use for Restore Points, I like 10%. 8. Then click on Apply and click on OK.
5. Enter the name of your restore point so you can easily identify it later. Wait for the progress to finish. 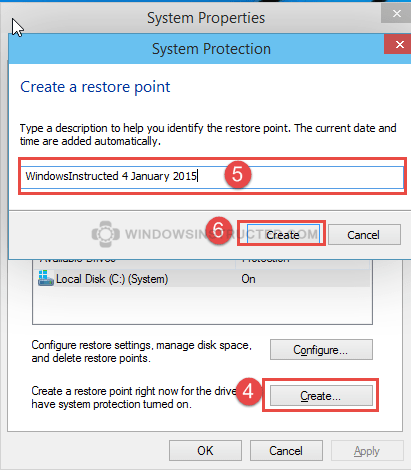 You have now successfully created a manual restore point in Windows 10.